We all have an occasional sleepless night now and again. You've probably even made jokes about how "sleep deprived" you felt around the office water cooler. But the truth is that sleep deprivation of any kind can be dangerous. And the longer it accumulates, the worse it can be for your health. 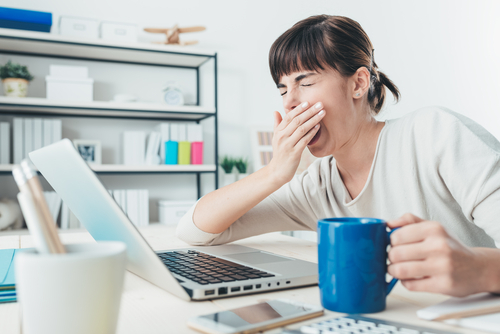 In this article, we'll teach you how to recognize the warning signs of both acute and chronic sleep deprivation as well as ways to get better sleep so that you can fend it off. Thankfully, if you get poor sleep only every once in awhile, then all it should take to fix it is a single night's rest. But if it happens more frequently, it'll start to have a negative impact on some of your most important biological systems. It messes with your hormone levels, reduces overall cognitive function, and even makes your skin look bad. But if you can't get a good night's sleep on a regular basis, all of these things will be the least of your problems. Nearly a third of all Americans - which amounts to over 40 million people - report regularly not getting a sufficient amount of sleep. And what's worse is that many of these people work in jobs where being alert and operating at 100% isn't only necessary for their own safety, but potentially the safety of others. 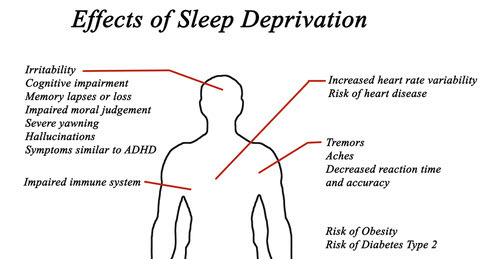 When dealing with chronic sleep deprivation, it can cause some pretty serious long-term health problems. One of the more visible ones is around your waistline. The longer you go without proper sleep, the more your metabolic hormones - specifically, ghrelin and leptin - get thrown out of balance. It can cause hunger cravings (thanks to elevated ghrelin levels) and a decreased ability to feel full, no matter what you eat (because your leptin levels will fall considerably). This creates a domino effect leading to insulin resistance, obesity, type II diabetes, metabolic syndrome, and even cardiovascular disease. You may also be giving yourself literal brain damage by depriving yourself of sleep on a regular basis. Beyond experiencing a fuzzy memory and a lack of physical coordination, you may develop symptoms of serious mood disorders like depression. You may begin to hallucinate visually, or start hearing voices/sounds that aren't there. You will eventually lose most or all control of your ability to avoid making impulsive decisions. Your thoughts may become erratic. 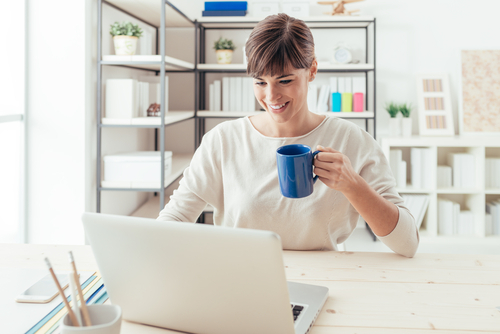 After years of chronic sleep deprivation, these behavioral changes can become permanent. Eventually, this impaired brain activity and/or brain damage can prove fatal. While there is no known record of a human being dying from sleep deprivation alone, studies on lab rats suggest that such a fate is possible. But long before you get there, there is a much higher possibility of dying from an accidental death first. Operating heavy machinery safely and effectively becomes increasingly difficult the longer you remain sleep-deprived. The frequency of car crashes, factory accidents, and even deadly falls are much higher among the sleep deprived population than those who get quality sleep. And these dangers extend beyond just you. Assuming you get into a crash with another vehicle, or you work a job where other people's lives are in your hands (surgeons, pilots, and air traffic controllers are all vulnerable positions), your chronic sleep deprivation can have a deadly effect on innocent people, too. You can take matters into your own hands and prevent sleep deprivation from having a tragic impact on your life. But before you reach for a chemical solution - like prescription sleeping pills or over the counter sleep remedies - try a natural sleep aid first. Contrary to popular belief, most sleeping pills don't actually improve your quantity or quality of sleep. And with long term use/abuse, they can make it even harder for your body to get the quality sleep it needs. Natural remedies, however, are a different story. We've reviewed several high-quality products, and we think you should check them out. Learn more.